This report was written by the Working Party on Cosmetic Procedures, of which I am a member. There has been increasing demand for invasive cosmetic procedures in the UK, prompting questions about potential risks to users and the lack of regulation and professional standards in this area. This report explores ethical issues in cosmetic procedures with a particular focus on the role and responsibilities of health and scientific professionals and others in responding to demand for invasive non-reconstructive procedures that aim to enhance or normalise appearance. It engages in detailed ethical analysis and makes recommendations affecting all parts of the sector. 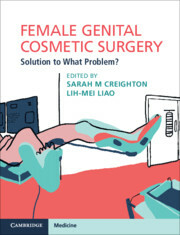 in Female Genital Cosmetic Surgery: Interdisciplinary Analysis and Solution, edited by Sarah Creighton and Lih-Mei Lao (Cambridge University Press, 2019). In this chapter I challenge the idea that an appeal to choice exonerates Female Genital Cosmetic Surgery (FGCS). My argument proceeds in five stages. First, I consider the normative role that choice plays in liberal society and philosophy. Second, I note that UK law does not treat choice as adequate for accessing FGCS. Third, I consider the relationship between choice and the concept of normality. Fourth, I consider choice in the context of cosmetic surgery generally, and analyse the distinctive features of FGCS. Fifth, I consider the policy implications of my analysis. This paper investigates the possibility of what Sally Haslanger calls ‘ideology critique’. It argues that ideology critique cannot rely on epistemological considerations alone but must be based on a normative political theory. Since ideological oppression is denied by those who suffer from it is it is not possible to identify privileged epistemological standpoints in advance. You can read the paper here and on the OUP Philosophy Festival Reading List here. Autonomy is fundamental to liberalism. But autonomous individuals often choose to do things that harm themselves or undermine their equality. In particular, women often choose to participate in practices of sexual inequality-cosmetic surgery, gendered patterns of work and childcare, makeup, restrictive clothing, or the sexual subordination required by membership in certain religious groups. In this book, Clare Chambers argues that this predicament poses a fundamental challenge to many existing liberal and multicultural theories that dominate contemporary political philosophy. 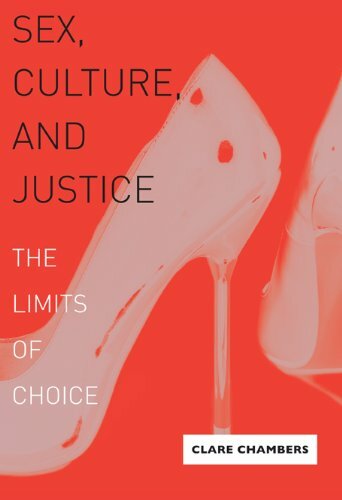 Chambers argues that a theory of justice cannot ignore the influence of culture and the role it plays in shaping choices. If cultures shape choices, it is problematic to use those choices as the measure of the justice of the culture. Drawing upon feminist critiques of gender inequality and poststructuralist theories of social construction, she argues that we should accept some of the multicultural claims about the importance of culture in shaping our actions and identities, but that we should reach the opposite normative conclusion to that of multiculturalists and many liberals. Rather than using the idea of social construction to justify cultural respect or protection, we should use it to ground a critical stance toward cultural norms. The book presents radical proposals for state action to promote sexual and cultural justice. Critical Review of International Social and Political Philosophy (CRISPP) Vol. 7 No. 3 (Autumn 2004). This paper outlines two forms of autonomy, and argues that political liberals such as Martha Nussbaum wrongly prioritise second-order autonomy. As a result, they cannot provide adequate criticism of unjust social norms. The two cases of breast implants and female genital mutilation are compared to illustrate this point.